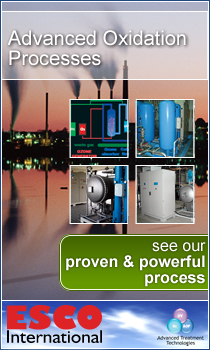 ESCO International has long experience in ozone, UV and advanced oxidation processes, applications and R&D field. ESCO International continues to improve and develop new advanced oxidation processes to meet new challenges and applications. Using our ozone and AOP laboratory scale and industrial pilot facilities ESCO International can provide professional solutions and correctly design reliable full scale plant to meet or exceed customer requirements. The right process steps and correct operating parameters are the central focus for the development of a reliable and satisfying advanced oxidation solution for our customers.